Unobstructed Park Views!! This 5th floor luxury Condo in Yorkson Creek Parkside 1!! One of the Highest Quality condos in Langley, awesome location close to all amenities! This corner unit offers stainless steel appliances, granite counter-tops, deluxe cabinets. 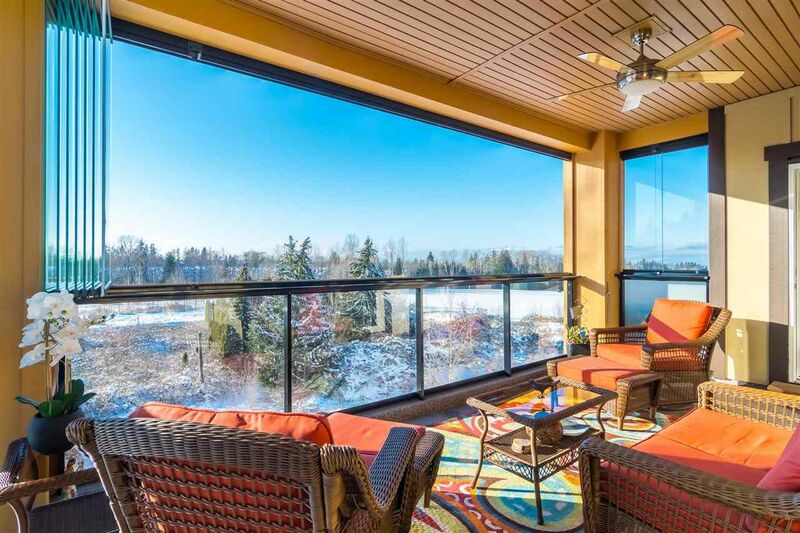 The wrap around 200 sqft deck with the famous glassed in solarium is a must see, Air conditioning, 2 underground parking + 2 secure garage style storage units with power, heated floors in the bathrooms, acoustic sound dampening insulation and More. Rental Allowed, This one will not last long.